With Gigato, you’ll never have to wait for WiFi again! Gigato provides free unrestricted Internet data for your Android. 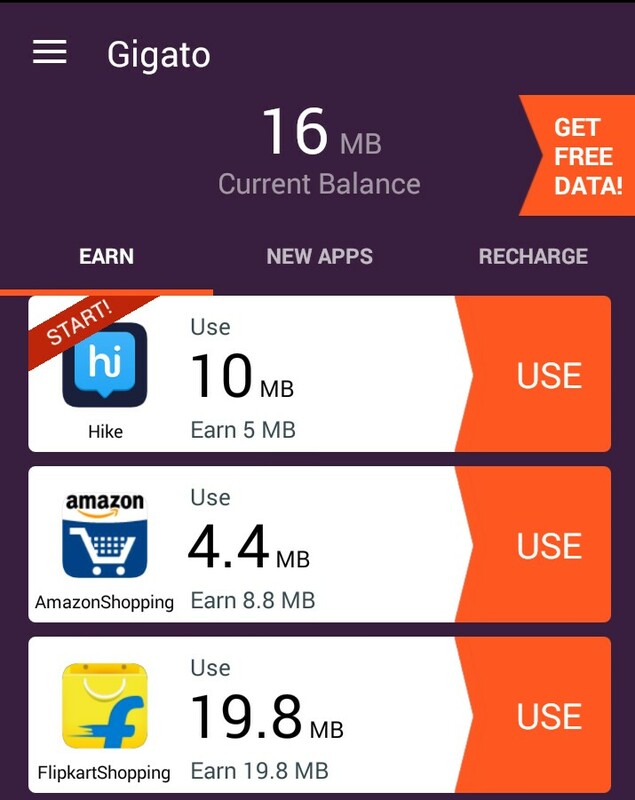 Use the apps you love and get megabytes recharged to your prepaid account, or store in your Gigato Data Wallet and give yourself an easy recharge whenever you need one. Gigato is now back with Refer & Earn Program through which you can Earn Unlimited Data by Referring your Friends. 1. Download Gigato App from Here. 2. Once You Download The App, Open It and Enter Your Mobile No. 3. Enter this code in “Got A Referral Code?” section to get 25MB SignUp bonus : gig649. 4. verify your number & proceed. 5. After successfully SignUp, you can see 5MB in your wallet, download app & get 20MB more. – Your friends will also get 25MB once they sign up using your referral code. Enjoy this Refer & Earn program by Gigato and get unlimited free internet data..